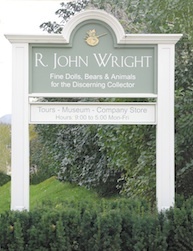 In 2017, an all-new Bonzo has been produced by the world-renowned R. John Wright Dolls, Inc of Vermont. It has joined a long line of their exquisitely modelled dolls, animals & characters, all beautifully designed and hand crafted. Not only have they instantly become the latest must-have collectable in the Bonzo range, but also they are one of the best examples of a lifelike Bonzo one can find. 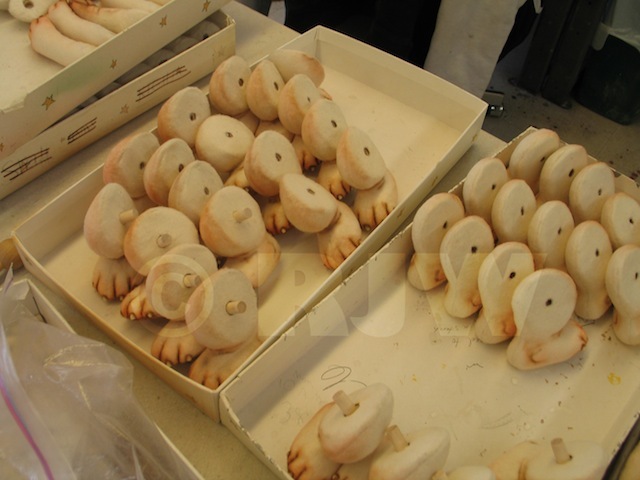 Below is an exclusive article by R. John Wright himself, written specially for this site, about how his company came to create their Bonzo, together with never-before seen production line photos. Setting the Bar Very High! 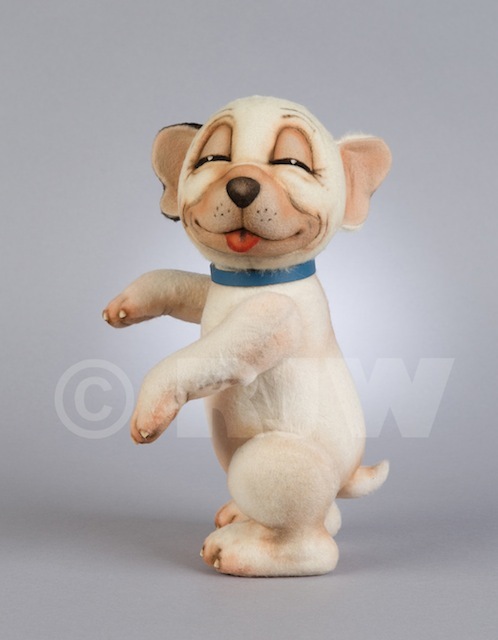 Bonzo was a licensing sensation in the 1920's and leading stuffed toy manufacturers vied to be given a chance to produce him. 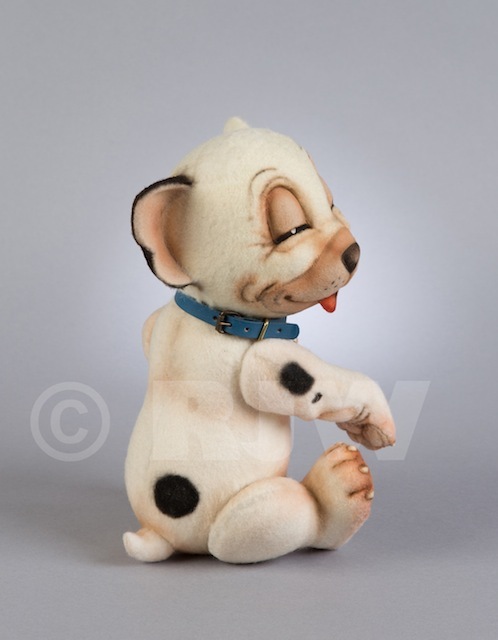 Samples were made and submitted and in 1927, Bonzo's creator, George Studdy, chose the Chad Valley company in the UK to produce the beloved pup. 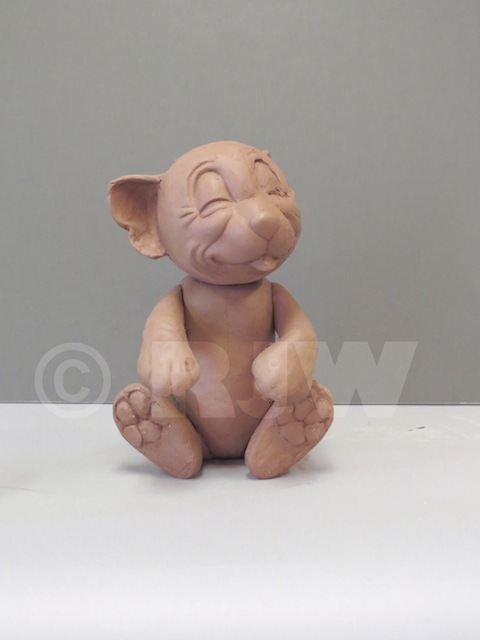 As we became familiar with Bonzo's history, we were compelled to try our hand at making a Bonzo ourselves. We've always chosen things that we love in the hope that others will respond to them too - even if they weren't familiar with them beforehand. In the case of Bonzo, many people know they've seen him before, they just don't know what his name is! We also enjoy bringing to light characters and images from other time periods. 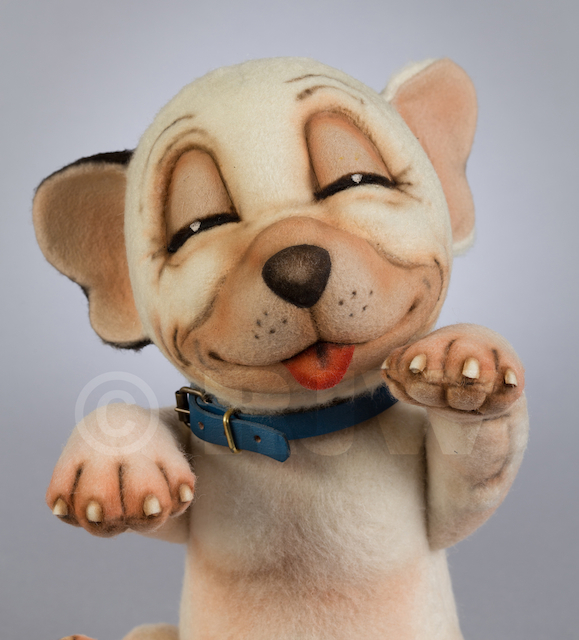 It's a treat to introduce these classic images to a new generation and Bonzo is a perfect example of this. As part of our research and development, we acquired a number of vintage postcards featuring Bonzo as well as a few rare books on the history of the character. In the process we were discovered by serious Bonzo aficionados including Richard Fitzpatrick [the owner of this Bonzo website] who helped us greatly with his expertise. 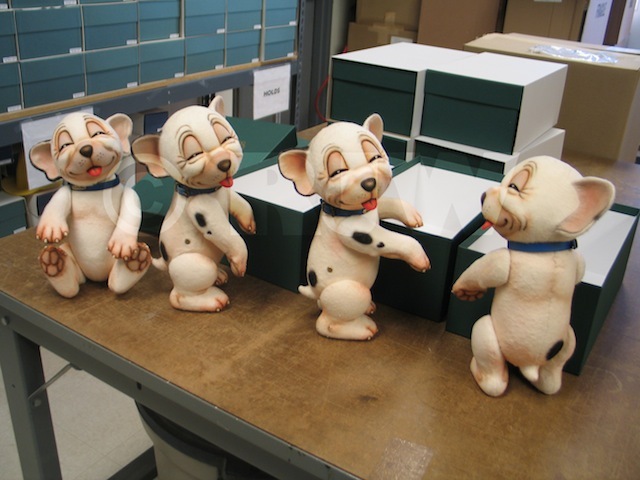 One world-class collector, Mel Birnkrant, also shared his legendary collection of comic characters including a vast array of vintage Bonzo merchandise. 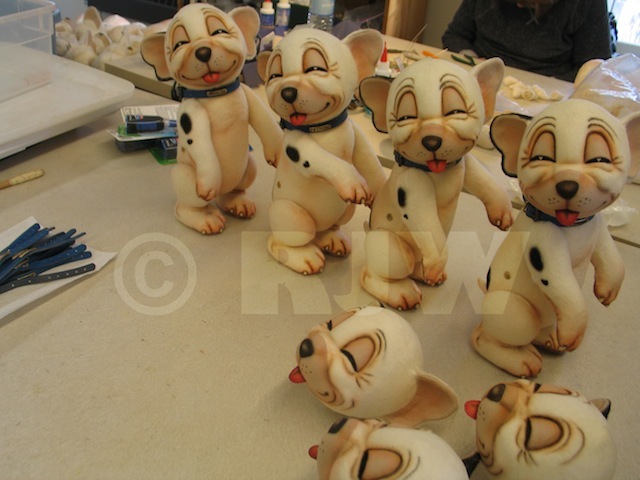 Looking over the merchandise produced over the years, there are several figurines or sculptural renditions of Bonzo which are quite good. 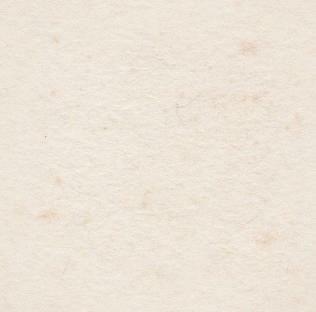 However, in the realm of plush many of the sculptural details are missing. Our goal was to bring together the dimensionality of the sculpted pieces with the cuddly warmth of the stuffed animals. 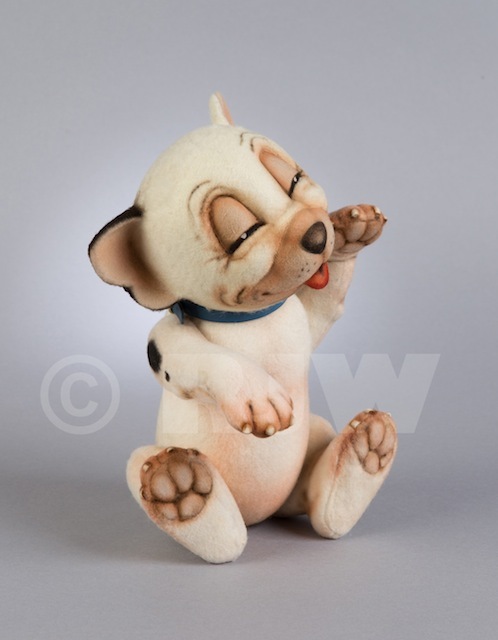 The early plush manufacturers used a combination of painting and sewing to evoke the Bonzo illustrations. 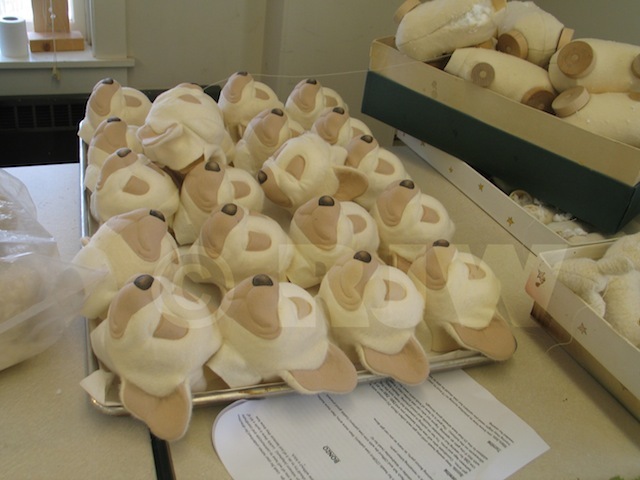 Because of our experience sculpting and molding we are able to bring a heightened 3rd dimension to the character—something that's never been done before in plush. 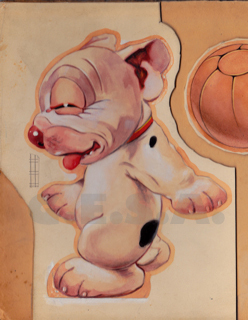 Bonzo's creator, G. E. Studdy, was an excellent draftsman and it's obvious that his drawings are based on real-life dogs. So we used his artwork as our primary reference point. The Studdy drawings themselves are filled with personality and we worked hard to capture that in our design. Once we completed our sculpt of Bonzo we had it scanned for posterity with a 3D scanner. This technology will enable us to do different sizes if we decide to. This is the first time we have done this and it opens up some exciting possibilities. 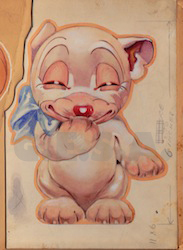 We're not completely sure at this point, but Bonzo has big blue eyes and it would be fun to do an open-eye version of him. 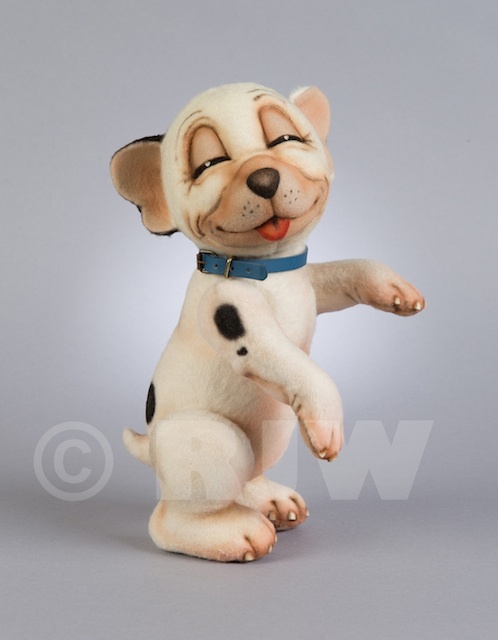 A smaller-size Bonzo is another possibility as collectors seem to gravitate towards small items these days. 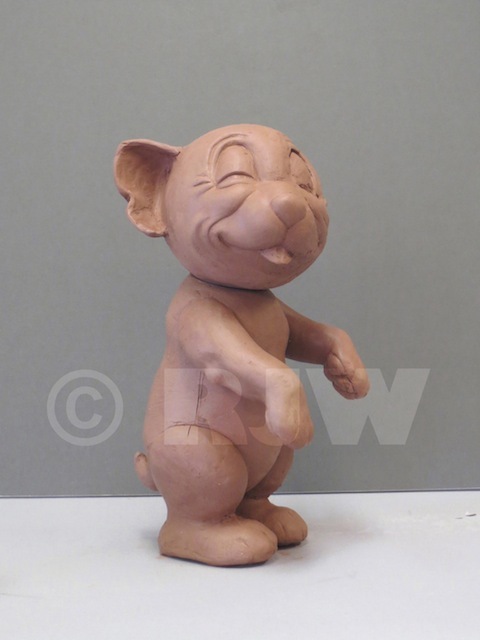 The process begins with drawings which are referred to in sculpting the character to-scale in clay. The clay parts (which are often cast in hard modeller’s wax for refined finishing) are sent to a foundry for the creation of metal molds. 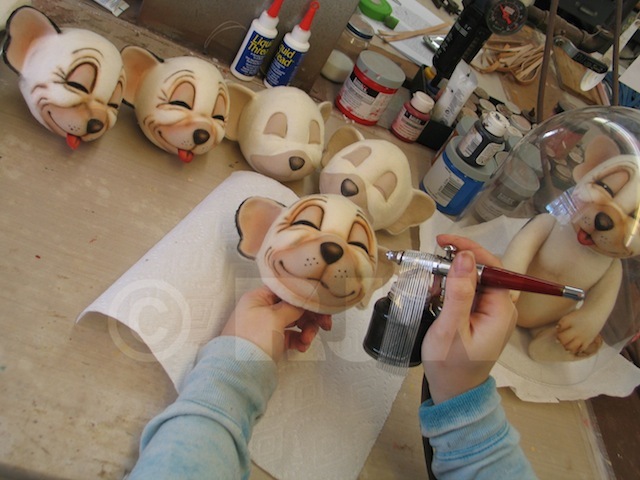 The molds are used in production to insure continuity and accuracy. 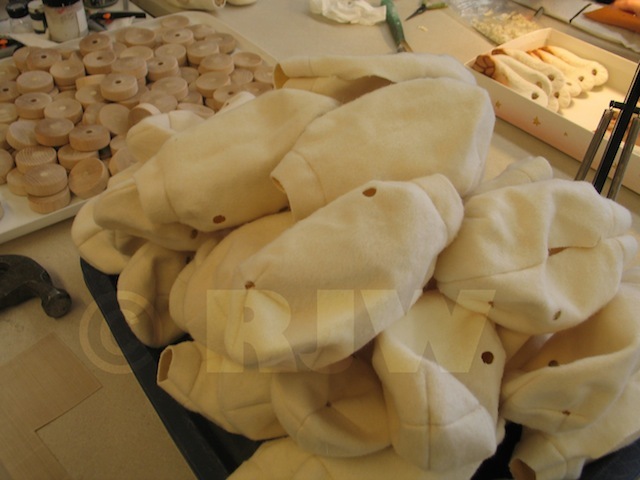 Parts are sewn, molded, stuffed, jointed and painted. Upon completion, a small brass rivet marked ‘RJW’ is affixed to each as a permanent mark of authenticity. 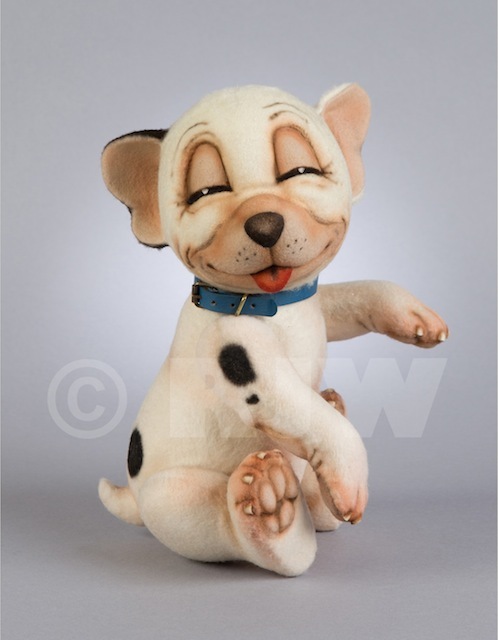 Our Bonzo is 5-way jointed - including a swivel & tilt neck - so he can assume many playful poses. He is constructed of wool plush and felt and artistically airbrushed and painted by hand. He is produced in a very small limited edition of 250 numbered pieces. He may be purchased directly from our company store or from any of our authorized dealers worldwide. We operate a very unusual company which I call an 'Artist-controlled Production. We've been in business for forty years and during that time very little has changed about how we do things. Not only do we choose and design each and every project, but we also personally oversee the production so that each piece in the edition meets our exacting standards. 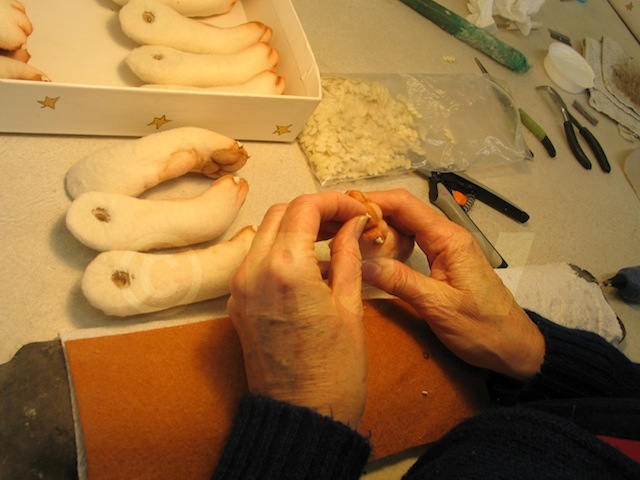 Our work began with dolls and soon branched out to include animals of all kinds. We specialize in the unique medium of molded felt and plush. The fact that we make dolls, bears, and animals provides us with a great deal of variety. Our extensive work in licensing also opens new markets to us. We pride ourselves in successfully translating well-known characters from 2-dimension to 3-dimension. In doing this we strive to make the most 'definitive' version of a classic character. All work is performed on-site at our workshop in southern Vermont by our talented team of approximately 20 artisans, many of whom have been working for us for decades.